The goal of this proposal is to substitute plastic stoppers for wine by plastic/cork composite stoppers to reduce fossil fuel resource dependence and provide a product with better performance by combining the advantages of both raw materials. Plastic stoppers are gaining market share yearly at expense of natural cork ones due to their lower price and absence of chemical problems associated to cork. Most plastic or synthetics stopper manufacturers are SMEs settled in Spain, France, Germany and Italy. Currently plastic stoppers suppose 13% of the total production what accounts for 20 billion stoppers yearly, but according to WWF (World Wide Funding for nature) they could cover more than 50% of the market in ten years. However, their environmental performance is not as good as expected because they are totally based in fossil fuel resources and are forcing cork oak natural forests (native species of the Mediterranean region) to extinction. The Iberian Peninsula shelters more than the half of them. Cork oak forests are “semi-natural” systems (exploited in a sustainable way) being the home to a great biological diversity. The increasing use of non-cork caps can reduce the value of cork oats and thus, the aim to preserve and manage these forests. Plastic stoppers are unavoidably increasing their presence in the beverages market but some hybrid systems including cork could help to maintain at the same time the presence and use of cork. Recently some of the partners involved in this proposal developed a new composite material based in both raw materials, plastic and cork. Part of the petroleum based plastic is substituted by cork, a harvestable natural and biodegradable material. 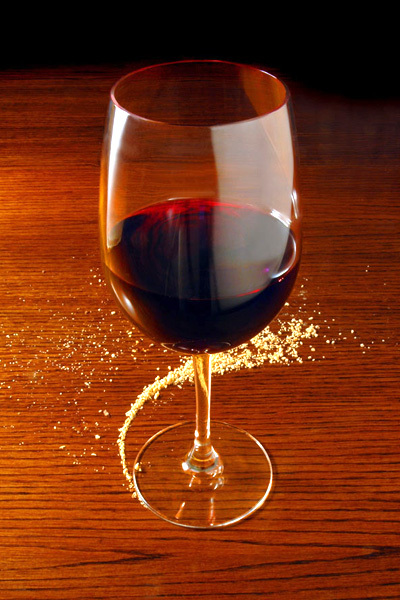 They were developed with the aim of substituting plastic stoppers rather than cork. The new material provides several advantages like: lower price than cork, lower density, lower extraction force and better environmental performance than plastic stoppers for substituting partially the plastic by biomass (better use of natural resources). Moreover, it contributes to safeguard the cork oak forests. The previously obtained prototypes showed good potential properties, however, some characteristics associated to processing conditions needed to be optimised such as skin thickness, capping stability during storage, etc. This optimisation process will lead to the obtaining of a competitive product and the characterization process will provide an accurate data sheet for customers. – Life cycle analysis: integration of environmental impacts including raw material, energy and water consumption, air pollution, end of life (recycling), etc. The market of the new product is that covered by plastic stoppers, so if just only 20% of the plastic stopper market is substituted by the new product, an output of 520 million plastic/cork stoppers would be manufactured worldwide. The price of the new product will be around that of cork and plastic stoppers, so it will be around 0,06€/unit, this would account for a market sales of more than 30 million euros. Furthermore, the new sustainable plastic stopper with better characteristics will allow a mayor penetration of the stopper manufacturer involved in the project into the market, thus increasing its market share. Licensing would spread out results to other European SMEs, allowing for short- and medium-term replication.